Rethinking the health service production function: What role for primary health care in modern health service provision? 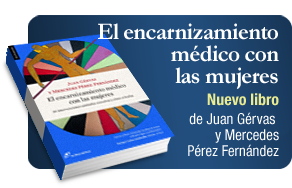 Organized by Juan Gérvas MD, PhD (general practitioner, Equipo CESCA, Madrid, Spain; visiting professor, International Health, National School of Public Health, Madrid) and José M. Valderas MD, PhD (Professor, Department of Primary Care, Oxford, United Kingdom). Health policy-making is by definition concerned with selecting health interventions between different alternatives. Evidence exist that some of those interventions have to be inter-sectoral actions, prompting other sectors to “do something good for health”, such as increasing tobacco taxes in order to reduce smoking. However, the bulk of the actions promoted by most health policies are (hopefully cost-effective) health services in response to well assessed health needs. There are very many types of services, defined in many different ways (e.g. laboratory services, nursing services, emergency services). When defining those services we prescribe the use of well defined inputs in the expectation to produce some precise outputs and outcomes. For example, without narcotic analgesics and skilled primary care professionals it will extremely difficult to take care of terminal patients at home. Having both, however, is not sufficient guarantee that the above mentioned outputs and outcomes will be optimum. A number of important issues emerge therefore: what is the best mix of skills?, for example; or how to offer continuity of care for these patients (and relatives) during out-of-working schedule? ; or, what is the role of palliative teams, and in general that of the hospital? ; etc. The answers to those questions have been the body of intense debate for decades, and they have remained reasonably stable. We now need to think about health systems, however, as organizations which offer services in a changing world, with changing technologies and therefore changing boundaries regarding the “best location” for the services, with private and public stakeholders wanting to participate in what has become a phenomenally important economic activity, strong resistance to change by many who fear that change may mean the end on long-cherished privileges, and so on and so forth. who, where and when should take care of whom, suffering from which diseases-problems and under which circumstances? what is the “right” location for each type of care? who is expected to do what in each particular moment in order to improve the situation in the most efficient way? how to set up in each period the (unavoidably fluid) “boundaries” to be articulated in the process of care? I would like to suggest the document about “What role for primary health care in modern health service provision?” for launching the debate that should lead us to the seminar proposed for the Autumn of 2012. 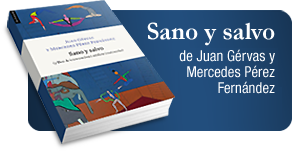 The paper is the product of a number of reflections by me, Juan Gervas, with open discussions for a number of months with Antonio Durán and Barbara Starfield, unfortunately interrupted by Barbara’s death. It is not certainly not presented as any kind of dogma but rather as a sincere review of what used to be solid certainties and now are openly challengeable convictions, open to criticism. An ongoing on-line debate is also expected to take place along the tradition of our seminars, ending with a paper to be published in a peer-review journal after the face-to-face meeting. 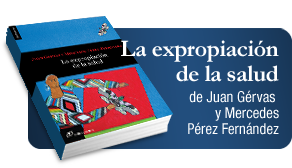 Inscription for the seminar will be free but request is needed to Juan Gérvas (jgervasc@meditex.es as well as mpf1945@gmail.com) and to Raimundo Pastor (rpastors@meditex.es). What role for primary health care in modern health service provision?. Gérvas, J. Septiembre, 2011. Descargar texto completo aquí. Download English version here.